A record 1,426 Americans gave up their citizenship in the third quarter, according to new government data. That puts the number of Americans who have renounced their citizenship at a whopping 3,221 so far this year. 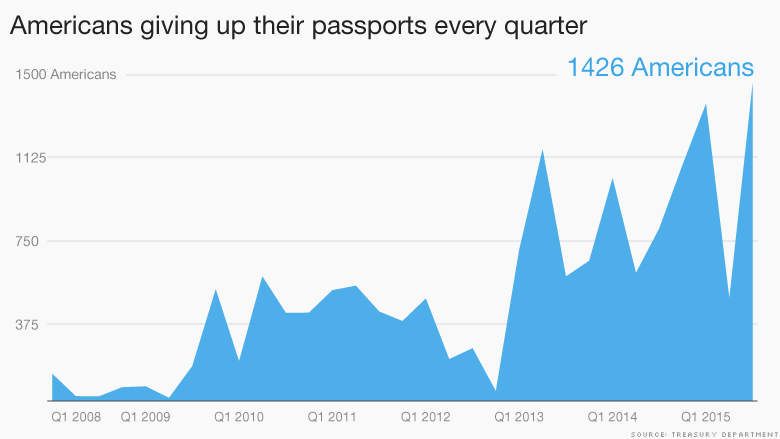 In 2014, a record 3,415 Americans gave up their passports, according to government data analyzed by CNNMoney. An increasing number of Americans are bidding Uncle Sam farewell. Many are expats tired of dealing with complicated tax paperwork -- a headache that has increased lately as hefty tax regulations have kicked in. Last year, 15 times more Americans renounced their citizenship than in 2008. Unlike most countries, the U.S. taxes citizens on all income -- no matter where it's earned, or where they live. For Americans living abroad, that means a mountain of paperwork so complex that expats are often forced to seek professional help, paying high fees to accountants and lawyers. The headache is only getting worse. The Foreign Account Tax Compliance Act requires individuals to report certain foreign assets, and for banks to disclose all foreign accounts held by Americans. The new law comes on top of another rule that requires Americans to disclose foreign bank holdings above $10,000. These regulations are part of a wider U.S. government move to battle tax evasion, especially after major Swiss banks admitted to helping Americans hide assets offshore. But the campaign is making life difficult for the 7.6 million Americans living abroad. As financial institutions rush to understand FATCA, some overseas banks, both big and small, have kicked out their U.S. clients, leaving some without even basic checking and savings accounts. If a bank mistakenly fails to report any accounts held by Americans outside the U.S., they can face steep penalties. Of course, some Americans renouncing are extremely rich, and ditching their citizenship may mean they're able to pay lower taxes in the future. 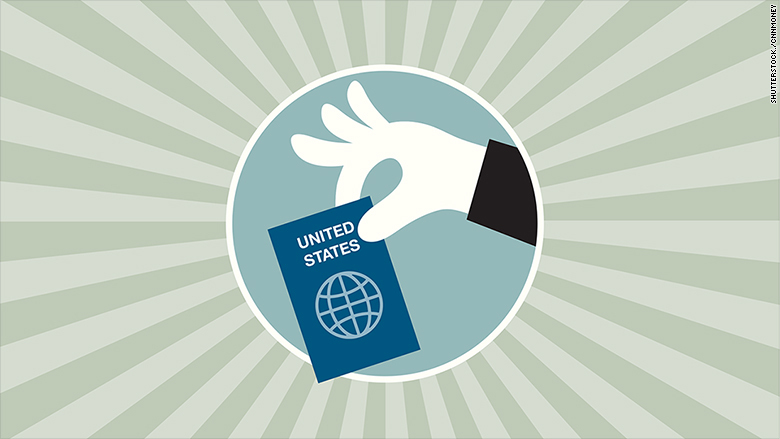 But it remains illegal to renounce your U.S. status simply to shirk a tax bill, and giving up your passport now doesn't mean Uncle Sam can't track you down later for back taxes. Are you an expat American dealing with complicated tax and financial issues abroad? Contact Sophia Yan at sophia.yan@cnn.com and you could be featured in an upcoming CNNMoney story.